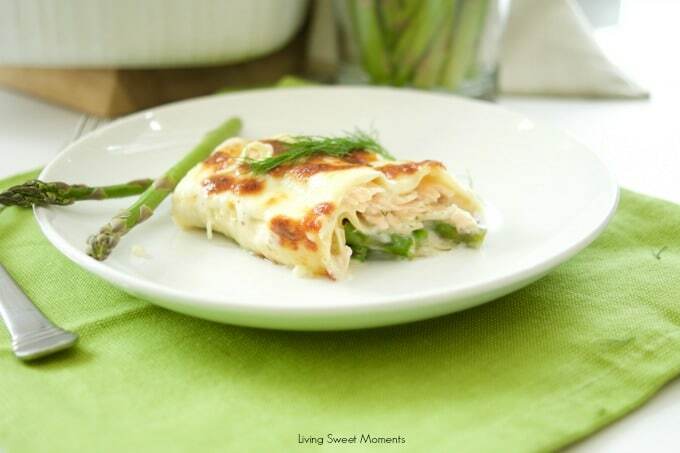 This easy & delicious Salmon Lasagna Recipe is made with flaky salmon and asparagus. Then is baked in a dilly Bechamel sauce. 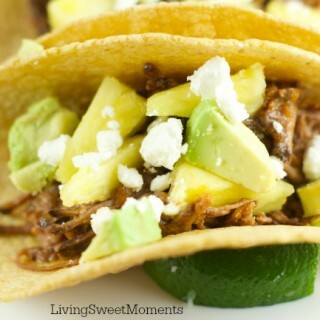 Perfect for weeknight dinner. I know what you’re thinking: Lasagna with fish#?!#?!#! Has this woman gone mad? Nope! not really, at least I hope not 😉 This Salmon Lasagna Recipe is super delicious and as weird as is sounds, the flavors actually work. 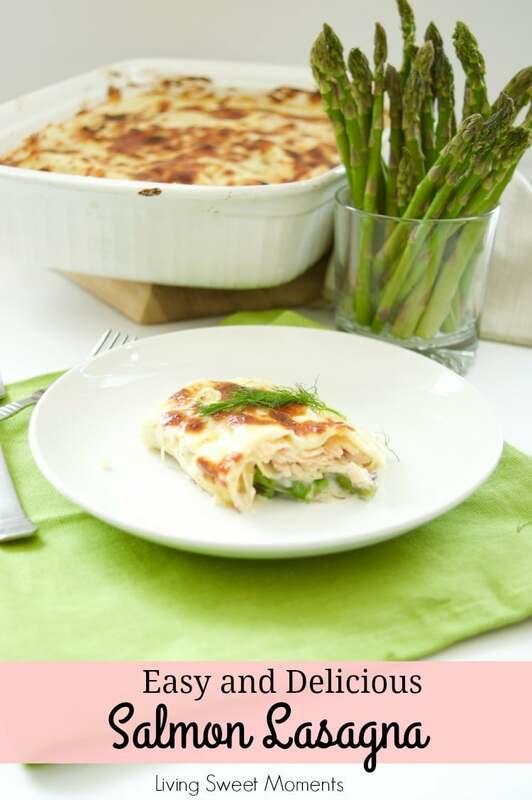 If you’ve ever tried fish in any kind of cream sauce, or if you’ve ever ordered seafood Thermidor, then you will definitely love this Salmon Lasagna Recipe. 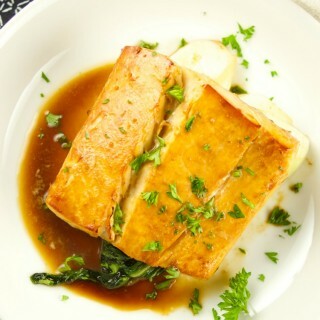 It’s basically a soft flaky salmon with a citrusy creamy sauce paired with asparagus. How bad can that be? Super funny story: I was in the kitchen yesterday cooking this dish when my Mother in Law came in. She saw me chopping some dill and asked me what was I making in a very enthusiastic voice. She obviously thought that it was going to be disgusting. But when the bubbly lasagna came out of the oven she decided to take a piece. Thankfully she and my husband loved it. They both served themselves another piece and were raving about the unusual dish with the delicious flavors. 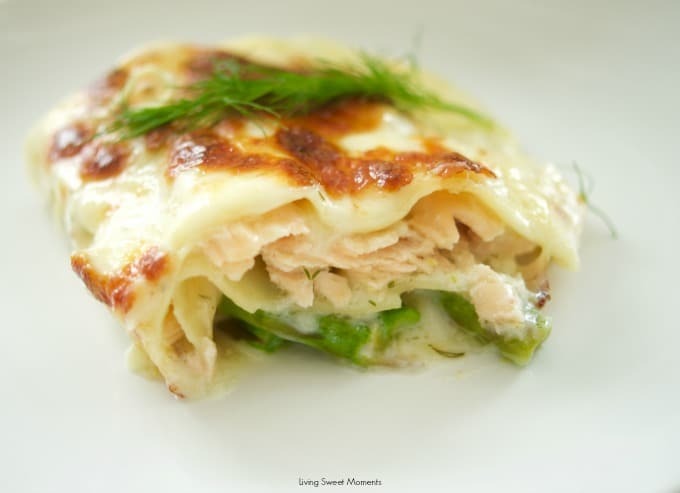 So if you’re feeling adventurous, give this Salmon Lasagna Recipe a try. 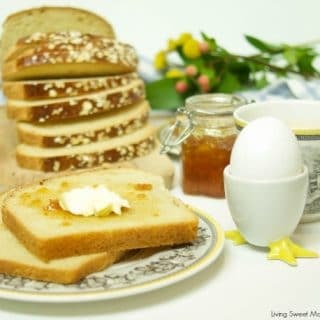 I topped mine with lot’s of Gruyere cheese so the top toasts up and gives off another layer of flavor. 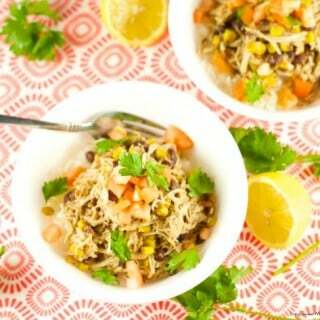 It is also a great way to use leftover salmon. 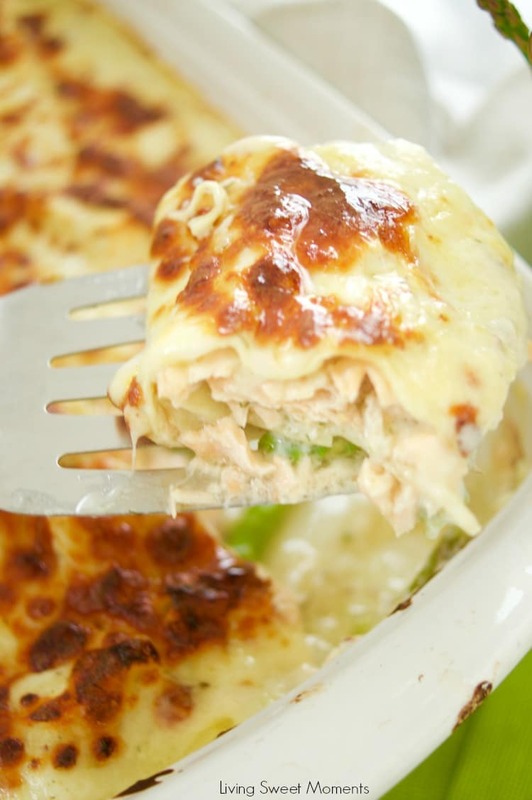 I hope you can try this delicious Salmon Lasagna Recipe at home. If you do, please upload a pic on Instagram and tag me @Livingsweetmoments or use the hashtag #LivingSweet. I promise to repost it. Turned out beautiful. Flavor is fabulous. The only negative is that the asparagus did not maintain it’s bright green color. Perhaps this occurred because the only asparagus available in our local store was the pencil-thin variety. I blanched it for 30 seconds and cooled it quickly in ice water but the color did not hold. I also cut the asparagus into 2″ lengths as I thought longer pieces would be unwieldy when cutting portions. It should also be noted that the recipe does not mention that the pan should be lightly greased prior to assembling the recipe. I also covered the casserole with non-stick foil when it went into the oven. Foil was removed @ that point and top was browned by broiling. All other measurements and techniques are spot -on; however I did use slightly more Mozzarella on the top layer as I was afraid that otherwise the noodles would be exposed and dry out. 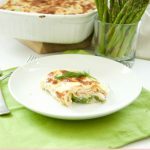 The Salmon Lasagna was served with a Mixed Greens Salad with fresh raspberries and a Raspberry Vinaigrette Dressing titled, Five Star House Salad Dressing on Food.com. Wonderful compliment to a beautiful Spring meal. Hi E. Thanks so much for the feedback. I am so sorry the asparagus didn’t stay green. Like you said, maybe they were on the thin side. Those might not need blanching in the future. Glad you liked the recipe. Have a great day. Did you use fresh or dried dill? Did anyone make this a day in advance? Planning to do so today, to slowly reheat tomorrow at low temperature. 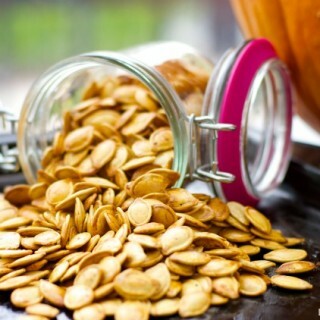 I feel like there’s a potential for dryness, but possibility of enriched flavour. More importantly, I need it done in advance for convenience.